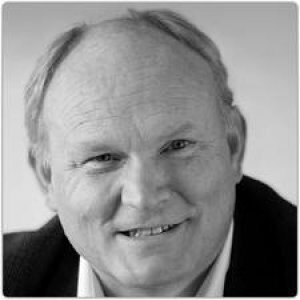 Rod has enjoyed tremendous success during his 35 year career in sales, marketing, and business development roles since graduating with a bachelor’s degree in communications from Washington State University in 1975. He is known for his vision, leadership, and ability to transform vision into effective corporate strategy and unique implementation plans. Rod has been the marketing force behind successful start‐ups, emerging growth companies, and well established businesses such as Schuck’s Auto Supply, Egghead Software, WordPerfect Corporation, and Coinstar. In 1999, Rod took the marketing helm at PEMCO Mutual Insurance Company. With the role came the opportunity to help transform an analytical operations‐based organization with a predominantly commoditized product into a dynamic customer‐centric, market‐driven and results‐oriented mutual organization. Now, 10 years after joining the company, Rod calls the insurance business one of the biggest marketing challenges he’s faced, and he views PEMCO’s current campaign as one of his most rewarding. Rod has served in numerous volunteer leadership capacities and as the currently longest standing member of the Washington DECA Board of Directors. His service and contributions were recognized in 2009 when he was presented the Washington DECA Award of Merit ‐ the organizations highest recognition for volunteer service. Rod has been active in the Word of Mouth Marketing Association since 2007 and was elected to the WOMMA board of directors and executive committee in 2008 where he currently serves as President.